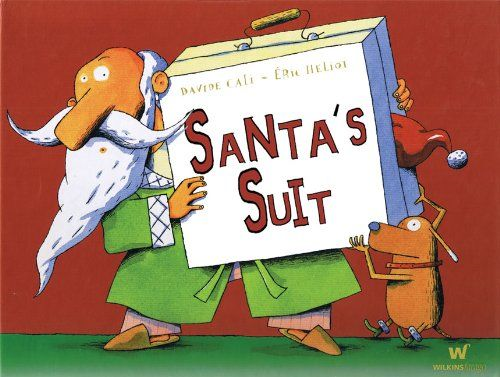 This version of Santa’s Suit, by Davide Cali and Eric Heliot, tells the story of Santa and his dog Bobo and how they almost didn’t deliver all the presents in time! Santa has been so busy all year that he has forgotten to fix the washing machine, and his lovely red and white suit is still dirty from last Christmas! This is a great YouTube reading of the book which young children, aged four and up, will love! What on earth will Santa do without his suit? How will he deliver all the presents? There’s a great app that goes with this theme called Santa’s Suit is Missing! It is best suited for primary school aged children, they’ll have a great Christmas adventure helping Santa find his suit in time to deliver all the presents!